The Plight of Kano State pensioners are in indeed in God's hand as the man whom they thought was a friend turned out an enemy. Ukpakareports.com learnt that the many pensioners who campaigned for him during 2003 campaign found themselves abandoned after the Governor won the election. Some of the pensioners lament that during his campaign period, many of them spent late nights with the Governor working on the campaign. In his maiden speech during his swearing in ceremony at the Sani Abacha Stadium on May 29th 2003 he assured people of Kano that he will follow the footsteps of Khalifa Umar in the governance of the State. Contained in his speech was the problem faced by pensioners as being top on his priority list. This spurred the minds of the many pensioners to accept the emergence of Shekarau as the savior to their plight. Prior to the 2003 general election, the then President Olusegun Obasanjo increased workers' salaries and harmonized the index structure for pensioners - only for Kwankwanso [the former Kano state governor] to fail in the implementation of the program in Kano State. This action brought dislike to the former governor. And Shekarau capitalized on the dislike during the campaign – and promised the pensioners that he will bring succor. Shortly following his victory at the polls, Shekarau released the sum of N1.6billion [May 2004] for the settlement of pension arrears. And the pensioners who were placated song his praises. In line with his promise, he launched an effort to implement the harmonization index which will translate to higher earnings for the pensioners. 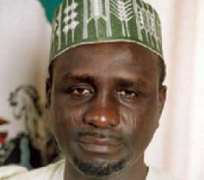 Shekarau established the Pension Commission and placed Comrade Maishanu as the Adviser on labor, and Alhaji Abdukadir Goshi as the Chairman of the Kano State Pensioners Association. Soon after establishing the Pension Commission, Shekarua, according to aggrieved pensioners, began exhibiting discordant trait. A pensioner told Ukpakareports.com that “in fact after we have received our pension arrears in May 2004 things were not better again, as we were not patronized by government since then. We have therefore been battling with the government for our remaining index of 52 percent”. As the Governor Shekarau's first term ended in 2007, the remainder of the 52% was never paid. Players within the informed circles of the State government told our correspondent that the decision not to pay was deliberate. It was deliberate because they needed to use Kano Pensioners against re-election campaign of 2007. As the campaign for 2007 gubernatorial race rolled around, Shekarau told the pensioners that if they campaign for him, he will implement the 52 percent harmonization index. Adding a second gear, the State House of Assembly Speaker Ahaji Saidu Balarabe Gani, told the pensioners that the State House of Assembly would endorse the harmonization index and pass it into law. But following victory at the polls in 2007, the pensioners' dream soured. Ukpakareports.com gathered that a-dislodge in the administration of the Pensioners Commission resulting from an allegation of N2million fraud within the Commission, shattered the Commission in two. Another faction known as Pensioners Forum was created and led by Malam Shu'aibu - aimed at fighting the 'deceitful ways' of the State government and the leadership of the Pensioners Commission. As the Pension project began showing signs of souring, Shekarau's interest in the pensioners waned immediately. And it led to a quiet revolt by the pensioners. In a letter dated October 23rd 2008 signed by 50 pensioners, it called the Governor's attention to the non- payment of the 52% harmonization index, and called the governor's attention to the owed pensions of 9 years arrears - from 2002 pensions backwards to those of 1999, 1998, 1997, 1996 and 1995. Amazingly, the governor has not responded to the letter till date.